Pure Pest Solutions - Pest/Vermin Control based in Oxford, Oxfordshire. 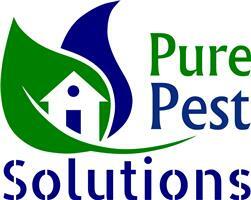 Pure Pest Solutions is your trusted local pest control company. Operating throughout Oxfordshire, Berkshire and Buckinghamshire our small team of friendly experts will happily guide you through the process of sorting your pest problem whatever it may be. Local knowledge helps us quickly diagnose your commercial or residential pest problem and work to a quick solution. Feel free to call now for advice on ants, bees, wasps, moles, rats, mice, moths and of course the dreaded bedbug. In fact bedbugs are a specialisation where we offer our in house developed Pure Attack System guaranteeing bedbugs are taken care in one visit! Being proudly Trading Standards Approved (Buy With Confidence) you can count on our professionalism and honesty from the outset. Remember after every visit you will receive a full report to your email address for your records outlining everything we have discussed and undertaken. Initial site visits and advice are FREE, so why not call now to find out more about how we can help put things right. Rubbish at catching mice but very cute! Pest controllers answering the phones!